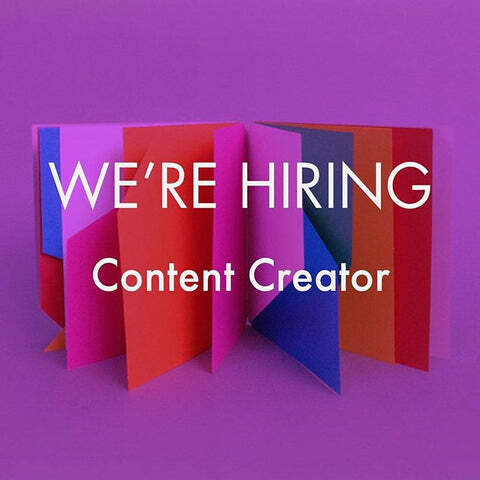 Are you an incredible copywriter and curator living in Toronto? Are you passionate about innovation, creativity, and the future of work and learning? Then please read on! A passion for learning balanced with efficiency is essential. In addition to learning how to speak in our brand voice, your job will be to continually update our analytics and determine which content, channels, and communication strategies resonate most with our various customer segments. We'll send you a fun assignment to see how you're able to Improve Our Copy!! We are an equal opportunity employer and strongly support applications from diverse backgrounds and communities. Only candidates under consideration will be contacted. As soon as possible – applications are reviewed as they're submitted. Contract to start, pay and hours to be discussed in person. is a multi-award winning toy creation company working out of the Centre for Social Innovation in Toronto. We strive to make creative collaboration the new normal -- to shift established views on play and learning in the lives of the young and old. We are developing a new category of toys that teach Empathy, Failure, Creative Communication, Collaboration, and other core skills necessary for innovation in the 21st century. We develop workshops, training programs, and supplementary resources to explore discussions around our toys. Our flagship product, the Empathy Toy, is an award-winning blindfolded puzzle game originally designed with the Canadian National Institute for the Blind to bridge the gap between visually impaired students and their sighted classmates. It has since evolved into a learning tool used in thousands of schools, homes, and offices worldwide. It was featured in TIME magazine as “one of six new education tools shaping classrooms of the future”.